Business and employer lobby group Ibec has issued a stark warning about Ireland’s eroding competitiveness and urged the Government to arrest the decline by providing greater support to local industries, as well as injecting €250m into higher education. 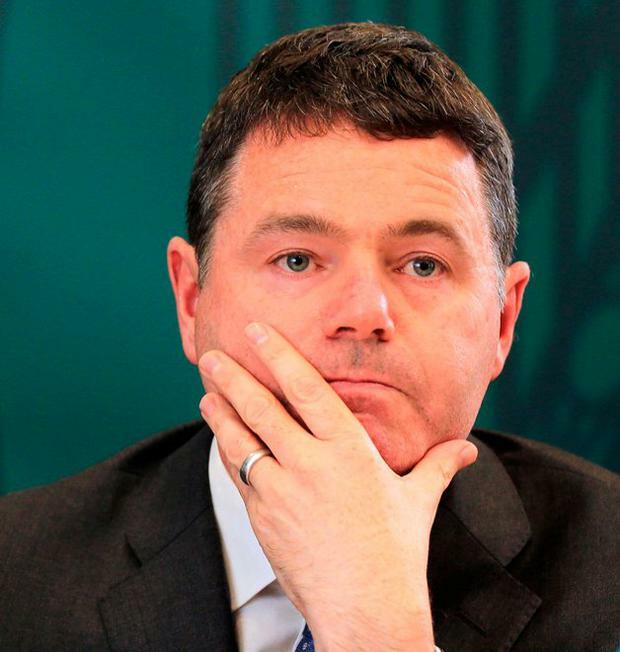 In its pre-Budget 2019 submission, Ibec warned Ireland’s “tax and industrial base has become dangerously concentrated” and called on Finance Minister Paschal Donohoe to introduce a more generous capital gains tax relief for entrepreneurs as part of a suite of measures aimed at boosting small-to-medium enterprises. Ibec has repeated its long-standing demand that the Government abandon a ‘rainy-day fund’ and is pressing for the ring-fenced cash to be funnelled instead into the third-level education sector in an effort to reverse the recent fall in Irish universities’ world rankings. Fergal O’Brien, director of policy and public affairs at the lobby group, claimed the failure to properly “balance” the economy in the wake of the crash and support local business poses a risk to growth. He acknowledged the economy is “doing really well” but argued rising costs “are eroding our competitiveness quicker than any time in the past decade and a half”. His concerns were echoed yesterday by another business advocacy group, the Small Firms Association, which described labour costs as “the most significant driver of business costs in many sectors”. Sven Spollen-Behrens, the organisation’s director, said it was “vital” the Government refrains from increasing the minimum wage in 2019. According to Ibec, the focus needs to be on the “next phase of growth” and, as Mr O’Brien highlighted, whether “we can maintain the competitive position”. To achieve this, he claimed, Ireland needs to be “right up there in terms of one of the best places to start, grow and, ultimately, to sell a business”. Ibec estimates its proposal to improve the capital gains tax relief for entrepreneurs, by introducing a 12.5pc rate with no lifetime cap, will cost €60m. The current rate of 10pc is restricted to €1m in any entrepreneur’s lifetime and compares unfavourably with the UK, where the lifetime limit is £10m. The lobby group also reiterated demands for workers on an average wage to be excluded from the top tax rate and wants the marginal rate reduced to 47pc. Mr O’Brien said the organisation is “pragmatic” about the “resources available”, but stressed the comparatively high tax regime is hobbling inward investment and deterring high-income workers from relocating to Ireland. Ibec wants a renewed focus too on the Government’s tax scheme for employee share options, and has branded the reforms, known as ‘KEEP’ and introduced in last year’s budget, as a failure. Gerard Brady, head of the lobby group’s tax and fiscal policy, said the programme suffers from a low take-up rate due to its complexity and multiple restrictions. But it is the “big bang” investment in higher education, as Mr O’Brien dubs it, that is likely to generate an immediate benefit to the State. Ibec is advocating an annual €250m top-up investment in tertiary education “over the medium term” to address the growing skills shortage. Mr O’Brien said the “talent” pipeline provided by universities plays a key role in the foreign investment decisions of multinationals. Trinity College Dublin lost its status as Ireland’s only top 100 university recently and Mr O’Brien argued “money” offers the only solution “because so much is based on perception”. “If we are seen to be serious about addressing this with a well-resourced plan then we would quite quickly come up the rankings again,” he said.